The holiday season is upon us, and it’s a great time to think about gift ideas for friends and family. You’re friends at the American Trail Running Association (ATRA) would like to share some of our top picks of running and non-running related holiday gifts. We hope you enjoy! 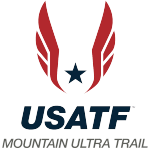 Ashley Brasovan – Hoka One One elite athlete and contributing writer to Trail News. Roll Recovery R8 – This is a deep tissue massage roller that is easy to travel with and very compact compared to a foam roller. This is a great present for anyone who runs or is active in general. I carry this everywhere and really helps to loosen up the body especially during the holiday travel season! Dion Snowshoes in action at the 2017 US Snowshoe National Championships in Bend, Oregon. Laura Clark – Book reviewer and contributor to Trail News and Trail Times. Dion Snowshoes – Snowshoeing is the perfect low-impact cross-training activity, guaranteed to develop strong quads and stamina for springtime mountain running. Dion snowshoes are specifically designed for runners by Vermont ultrarunner Bob Dion for both trail and off-trail experiences. Sure beats competing with cars on icy roads! Doug Laufer – ATRA advisory board member. Sometimes People Run For Fun Podcast – I listened to a podcast recently about why people run. Not a typical gift, but I think sharing it with other runners would be something meaningful. Another item I recommend is the book referred to in the podcast – The Incomplete Book of Running. It is not specific to trail running but it is a fun read. Ellen Miller – ATRA Vice President. If you hike or run on snowpack a lot I would like to suggest Kahtoola MicroSpikes or NanopSpikes. They work the best for corduroy snow conditions and snowy trails. They are easy to use and they slip on over all kinds of running footwear. Ryan Kerrigan – US Skyrunning Team leader. I recommend cross country skis made of wood. Skiing is great winter cross training for your running friends and they make an attractive holiday decorative mantle piece. Worst case scenario; they make great kindling! I also recommend Dirty Girl Gaiters. This company makes awesome small lycra gaiters to keep snow off of socks! They offer all kinds of fun prints! Ian Torrence – ATRA advisory board member of Arizona Border Collie Rescue. In spite of the name, Arizona Border Collie Rescue works throughout the west from Texas to Utah to California. Believe it or not, the holiday season is when the most dogs are relinquished by their owners. They end up back in a kennel or worse, left abandoned on the street. Adopted border collies are an excellent addition to the family and are perfect running companions. Emily (my wife) and I have adopted one and have fostered several. Men’s Trek Super Light Jacket from Red Fox – I love this jacket because it is wonderfully light, blocks the wind and is great for those early runs when it’s cold enough for a thick jacket but you know it will warm up during your run. It’s packable enough to stuff in your water bottle holder in your vest or into the waistline of your shorts. At $88 it might seem expensive for a light jacket but with it’s great fit, lightweight, and a hood it goes with you everywhere! 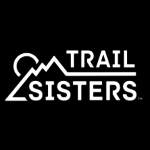 This is a great gift for trail runners, hikers, or just friends that like to get outdoors. Coaching or Training Plans – If you or someone you know is looking to tackle a big goal in 2019 – nothing goes quite as far as ensuring success at this big event. If you’re feeling generous gift them 6 months of coaching, or buy them a training plan. Many options exist and there are advantages to each option. Working with a coach or a plan offers additional accountability and guidance to help your loved one have a great day on course. Consider a plan from TrainingPeaks as it offers the ability to track your data and get a little more in-depth with your workouts. Kogalla Light – Move over headlamps! The Kogalla is my favorite new accessory for 100+ Mile Races. Crewing at Bigfoot 200 this year I was introduced to this light and it absolutely blew away any head mounted light unit. This light runs off a USB power pack and lasts for hours with unmatched range. It throws a ton of light on trails and if you decide to pair it with a head lamp you can use it to light up what’s in front of you and still have light that moves with your head. For under $100 you get the light and a battery pack. If you’re a savvy Amazon shopper you can find a USB battery bank that can charge your watch, phone, and light your way during your longest races. 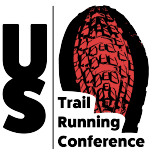 Terry Chiplin – Founder and director of the US Trail Running Conference. Terry recommends the book Born a Crime, by Trevor Noah. This book is a wonderful expose of how racism works, and how important running can be for your life! Stephen Santangelo – contributor to Trail News and Trail Times. Send a basket of homegrown and homemade edible delights to power your loved ones training and on keep them fueled the trail. All organic of course! For recipes read Stephen’s articles on Trail News here and here. Brandy Erholtz – ATRA Secretary. Maybe not the most practical for everyone; however, at the top of my Christmas list this year is a new running canine buddy! We lost both of our labs in the past year and a half (13 & 14) and they were my best running buddies. I have a sweet little dog named Teddy now; however, he’s not much of a runner. So, my rationale for a dog, is there are a ton at most local shelters looking for a best friend. Dogs make the best running buddies as they are always wagging and ready to go, they never complain about the weather and can be great protectors on the trail and in the dark. I’m biased to labs; however, there are many breeds that make good running partners. You just have to make sure and obey leash laws and clean up after your dog. So, check out your local shelter! Usually, the adoption fee covers up to date shots and a spay/neuter. If you get a puppy, make sure and get the vet’s approval before the pup starts running to far/fast. Peter Maksimow – ATRA Outreach and Partnership Specialist. Peter has some great holiday recommendations “brewing”. Stay tuned for a separate Trail News article next week! Can’t wait that long? Hit up Peter on the gram. Adam Chase – ATRA President. Osakana Toothbrush Cover – An inexpensive and practical gift for anyone, it holds the brush but also covers the bristles when in transit. I also recommend these CEP Achilles support compression socks which are my current favorites. Nancy Hobbs – ATRA Founder and Executive Director. King Arthur Flour sourdough starter is great for the bread baking trail runner and provides tons of good probiotics as well as builds those kneading muscles when making bread. Tayte Pollmann – ATRA Project Associate. Libellula Olive Oil is a “social enterprise started by a father-daughter team to preserve the historic agricultural traditions of family farmers in Italy and to bring pure extra virgin olive oil to food lovers.” The company allows you to “adopt” an olive tree from a historic Italian olive farm and then ships you 3 liters of olive oil produced by the farm each year. They also send a beautifully crafted ceramic bottle for pouring. The olive oil that come from these small farms is some of the best and it’s a great feeling to know you’re helping Italian farmers preserve their ancient olive oil making traditions! Plus, pure extra-virgin olive oil is a great source of antioxidants and healthy fats to aid in recovery after runs. 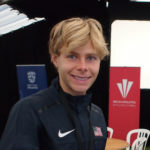 Elite mountain and trail runner Tayte Pollmann is an American Trail Running Association Project Associate and recent graduate of the University of Portland. This effervescent 21-year-old is sponsored by Nike Trail Running and will put his degree in English to good use writing and sharing articles and short videos from his upcoming travels across the United States and overseas.